The Chicagoland Entrepreneurial Center and 1871 are thrilled to announce that 1871 will be one of three Chicago institutions to partner with global apparel retailer UNIQLO, with visual displays from five innovative and design-forward 1871 member companies to launch inside the brand’s three-story, 60,000 square-foot flagship store on Michigan Avenue. The partnership is reflective of UNIQLO’s mission to create innovative, high-quality apparel that improves the daily lives of its customers. It also affirms the brand’s commitment to bring a more inspired and culturally relevant shopping experience tailored to the Chicago community. UNIQLO, which has more than 1,900 stores in 19 markets worldwide including 46 in the U.S., has partnered with local organizations in several cities including Paris, Toronto, Denver, and now Chicago. 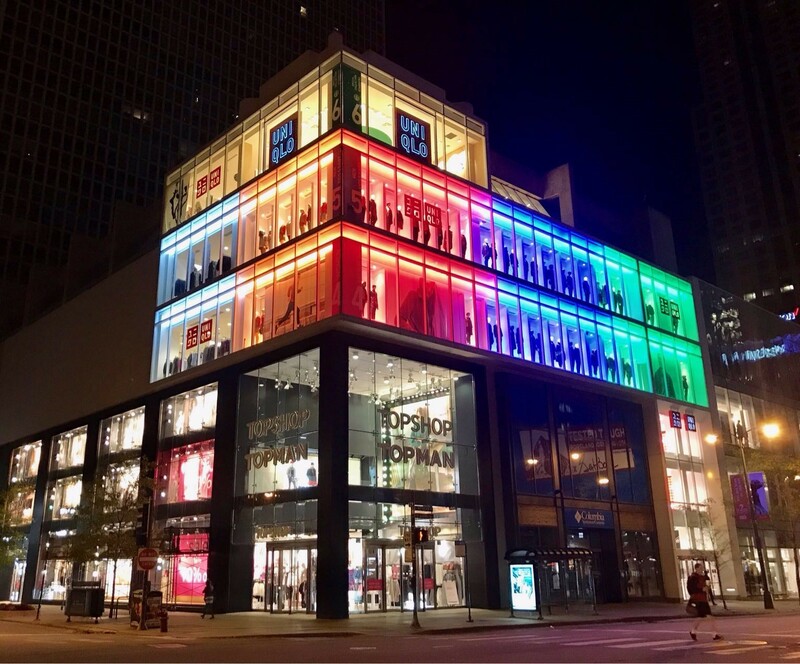 As part of the partnership with UNIQLO, which lasts from early November through January 2018, five 1871 member companies will have the opportunity to display their products inside UNIQLO’s Michigan Avenue store, located across from Water Tower Place. Dresscode Tech is a jewelry retailer that merges fashion and technology. The company produces stylish and sophisticated jewelry that incorporates computer science code strings as part of their design, which the wearer can use to unlock coding lessons. Dresscode strives to break down the negative stigma associated with computer science, particularly for young girls. SlapMap transforms maps into water-resistant, pen-friendly, tear-resistant, and conveniently portable slap bracelets which can be folded and unfolded by the wearer. SlapMaps are an alternative to traditional city maps, festival maps, and event schedule booklets which are unwieldy and easily misplaced. Hidrate is the startup behind the Hidrate Spark smart water bottle, which tracks water intake and helps users meet daily hydration goals. The product syncs via bluetooth to a hydration app, Fitbit, and Apple Watch. De Rigueur Designs combines augmented reality and a unique photogrammetry algorithm which transforms the user’s mobile device into a ring sizer, revolutionizing the ring shopping experience. Rings are then made specially for each customer using 3D printing technology. Mohop uses emerging digital scanning technology and 3D printing to digitally fabricate mass-customizable shoes, handbags, and accessories. They are committed to providing comfort and style through conscientious relationships with animals, people, and the environment. Mohop was a member of the inaugural cohort of WiSTEM, 1871’s accelerator program for women-owned businesses. Additionally, 1871 - its story, mission, and impact on the city of Chicago - will be displayed visually throughout the store. This announcement is made shortly following the official partnership between 1871 and Apple announced October 19, which involves a weekly month-long series on entrepreneurship hosted by 1871 at the new Apple Michigan Avenue store as part of Today @ Apple: The Chicago Series. Both partnerships illustrate 1871’s longstanding commitment to deepening relationships with other community-oriented brands in service of Chicago’s aspiring entrepreneurs, as well as creating new opportunities in unexpected places. The other Chicago institutions partnering with UNIQLO are the Jazz Institute of Chicago and River North ramen shop Slurping Turtle. With a corporate statement committed to changing clothes, changing conventional wisdom and changing the world, Fast Retailing is dedicated to creating great clothing with new and unique value to enrich the lives of people everywhere. For more information about UNIQLO and Fast Retailing, please visit www.uniqlo.com and www.fastretailing.com.